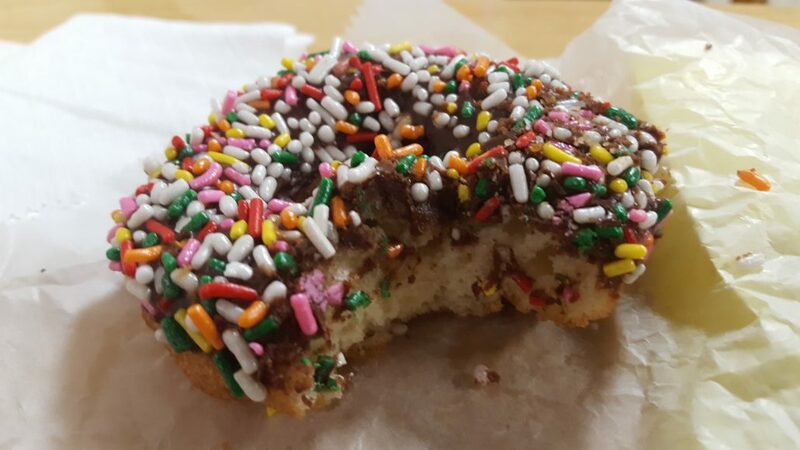 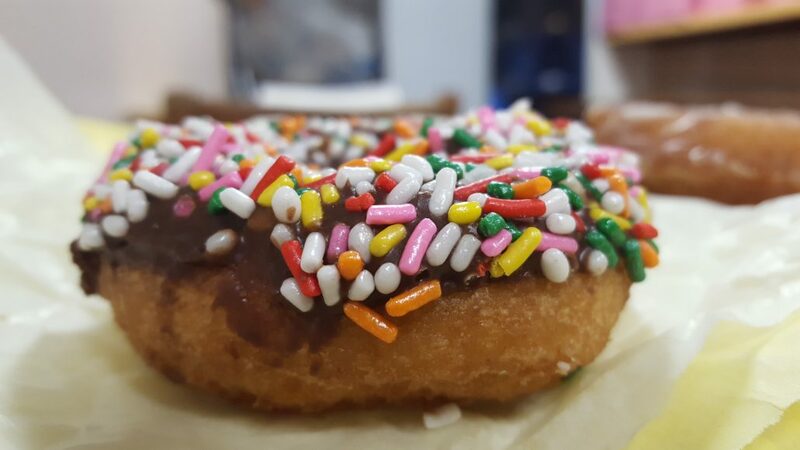 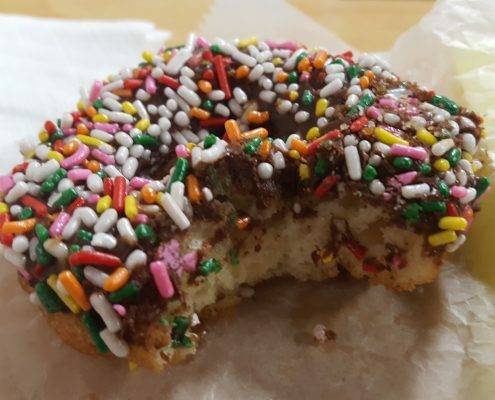 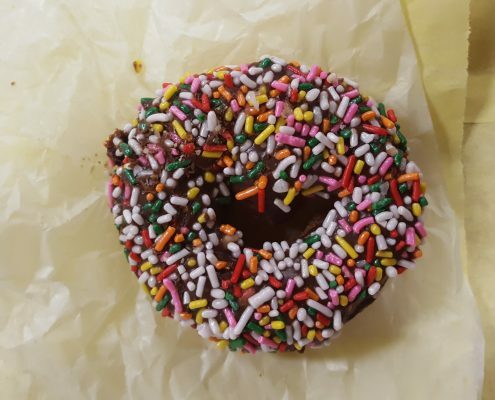 The staple of every donut shop aside from the glazed, Bob’s chocolate frosted sprinkle donut was just as simple with nothing extra. 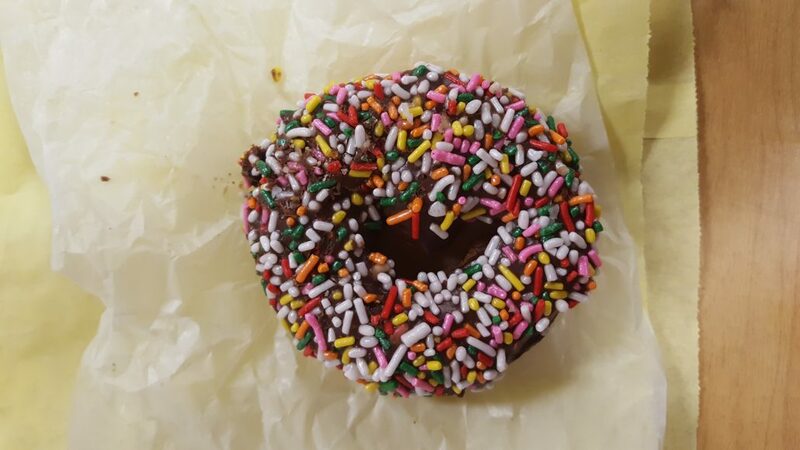 The donut was surprisingly dense in sprinkle coverage. 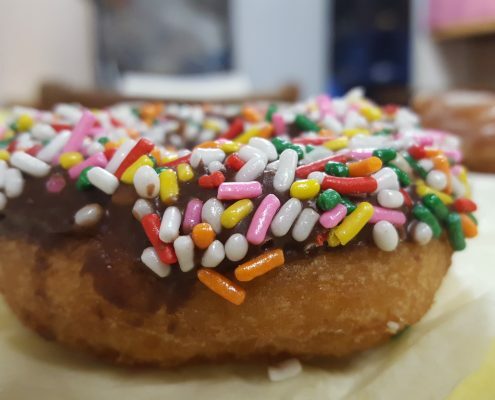 It was a good snack, but as the first donut to be reviewed on Mmm Donut, can’t say it’ll be long remembered for its taste.